Obviously still smarting from the crushing loss of his protégé at the governorship polls, Governor Ibikunle Amosun seems to be on a destructive spree while deliberately laying landmines for his successor. You would recall that Governor Amosun’s preferred governorship candidate, Adekunle Akinlade, was defeated at the polls by Dr Dapo Abiodun of the All Progressives Congress, APC. 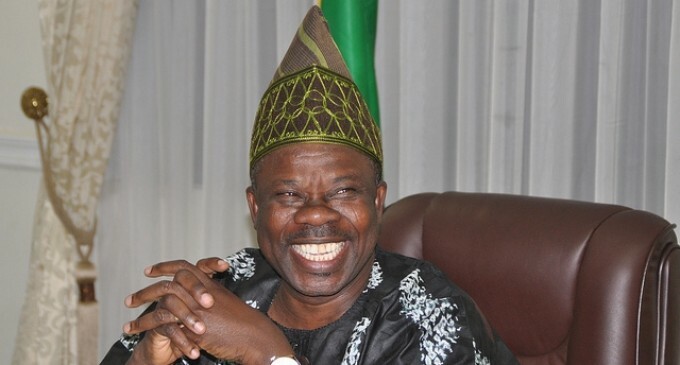 Though suspended by the National Working Committee of the party for anti-party activities, Amosun is still a member of the APC, which he seems hell-bent on destroying given his eleventh-hour deeds and dealings. Earlier today, the Caretaker Committee of the APC in Ogun State via the publicity secretary, Tunde Oladunjoye, issued a statement alleging that the embittered governor has engaged in last-minute awards of bogus contracts, arbitrary withdrawals from the treasury, illegal sales of land and reckless recruitment of the governor’s cronies into senior positions of the state civil service. Describing the moves as shocking and capable of pitting the new governor against the people, the party warned the general public that such hurried transactions would not necessarily be binding on the incoming administration. It also urged the state’s top senior civil servants not to be part of Amosun’s desperation to undermine the socio-economic stability of the state by engaging in, condoning or being part of any act that breaches or constitutes a flagrant abuse of laid-down rules, regulations and due process. “It is our belief that an administration with less than two months to handover, should, by now, be preparing its handover notes for a smooth transition instead of digging pits for the incoming government. May we also reiterate here that all loans, overdraft and financial obligations that do not follow due process, including the approval of the Ogun State House of Assembly, would not be honoured. To be forewarned is to be forearmed,” the party averred. The harried governor has also appointed a close friend of his, Oye Hassan Odukale as Pro-Chancellor/Chairman of the newly constituted governing board of the Moshood Abiola University of Science and Technology (MAUSTECH), Abeokuta, as part of measures for its take off. An insurance magnate and boardroom guru, Oye is the MD/CEO of Leadway Assurance and now the current Chairman of FBN Bank (UK) Ltd, a wholly owned subsidiary of First Bank PLC. He and Amosun’s relationship date decades back.